Femi Fani-Kayode, a former Aviation Minister, on Monday lambasted the Minister of Information, Lai Mohammed, for saying that the Peoples Democratic Party, PDP, will be defeated in the Thursday’s governorship rerun in Osun State. Mohammed had pointed out that the PDP and its chorus singers were making unsubstantiated allegations because defeat was now staring at the party’s candidate in the face. 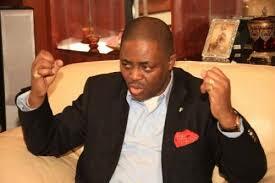 Reacting to his remark, Fani-Kayode insisted that the All Progressives Congress, APC, rigged the Saturday’s election. In a tweet, he insisted that APC will lose on Thursday. “In Osun defeat is staring PDP in the face”-Lai Mohammed. “What is this ugly little “mesu jamba” parrot saying? His party rigged the election on sat. by getting INEC to cancel thousands of our votes and we still beat them. “Now they want to steal it on Thursday. They will fail!,” be tweeted.